When you choose us, you’ll find friendly technicians who can solve your mobile device problems, from battery and screen repair to buttons and charging ports, on both iPhone and iPad devices. Whether you’re looking for phone repair Prior Lake options, or other electronics repair – our expert techs are here to help! 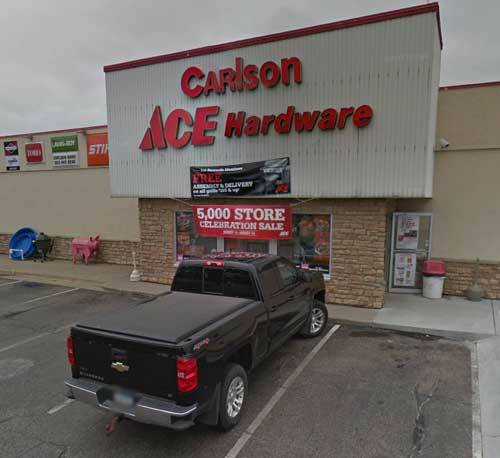 Located inside Carlson Ace Hardware on Main Ave SE in Prior Lake. Get Helpertech to fix your iPhone screen repair Prior Lake, your battery, or any other phone repairs you may need. 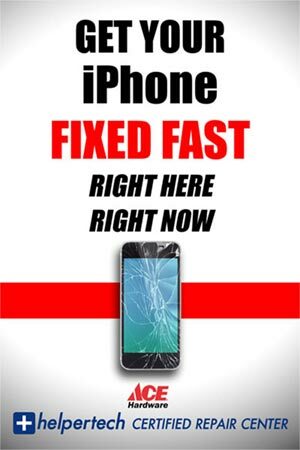 Our friendly staff will repair your phone fast, so you can get back to work or play as soon as possible. 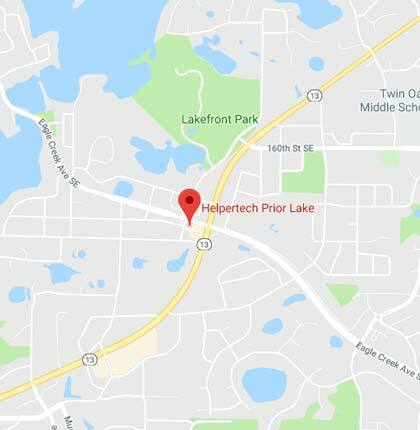 Come see why people that need Prior Lake phone repairs trust their mobile phone repair to Helpertech technicians! Helpertech has been a trusted name in technology repair since 1995, providing in-store and onsite service as a locally owned business. We began fixing computers and laser printers years ago, and have been fortunate to continually evolve our service offerings to keep pace with the change in technology over the years. It’s not just phone repair Prior Lake customers appreciate, we can take care of your iPad too! Stop in to our store, and our technicians will help with your device on the spot for issues like cracked screen repair, broken glass repair, battery replacement, virus removal, memory upgrades, data recovery, water damage repair…and pretty much anything else that can go wrong with your technology! Not just iPhones and iPads, we can also repair your Samsung Galaxy Note, Galaxy S series phones, and Samsung Galaxy Tab series tablets. Dropped, damaged, kicked, shattered, or water damage – for all your screen replacement, home button,and battery replacement needs, just stop in to Helpertech. Today we offer fast iPhone repair, iPad repair, and mobile device repair on most major brands – including Apple, Samsung, HTC, Dell, Motorola, LG, HP, and more! Our technicians can diagnose your device with same day repair on may services, such as cracked screen repair, broken glass repair, battery replacement, data recovery, water damage repair…and pretty much anything else that can go wrong with your technology! Our focus on customer service and fast repair has afforded us a great reputation with hundreds of amazing 5 star reviews from our customers. We’re happy to be a part of the local community, and provide our services to you.